Gorgeous, Unique, Burled Walnut Art Case Kranich & Bach 4’7″ Baby Grand Piano with Queen Anne Legs and matching bench. Just tuned, action regulated, and French Polish. 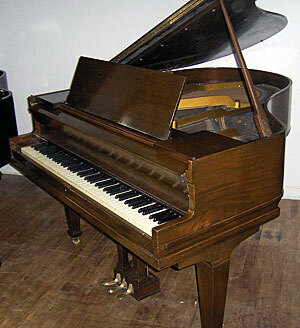 Hand Crafted American made piano, warm tone, original ivory keys superb condition inside and out. Warranty. Free Long Island & NYC delivery and tune up. Questions? Call Sonny Direct at 631 475-8046. Video Here! 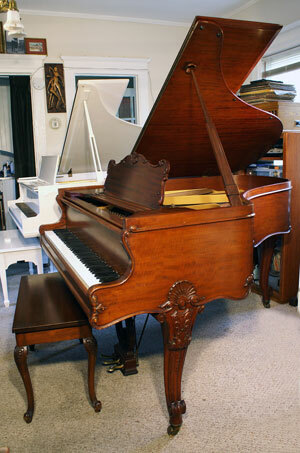 Gorgeous, Art Case, Mason & Hamlin Baby Grand Model B 5’4″, rarely played served mainly as a furniture piece. Superb condition inside and out. Sublime Mason & Hamlin Tone and responsive action. Free Long Island NYC dleivery, all else continental USA only $475. Question? Call Sonny Direct 631 475-8046. Piano For Sale – Winter Mahogany Baby Grand $1900 – Video Coming Soon! Beautiful Sohmer Baby Grand 5’4″, Mahogany, Art Case, Queen Anne Legs, Circa 1920, Warranty, Free Long Island/NYC vicinity delivery. All else continental USA delivery only $475. Questions? Call sonny Direct at 631 475-8046. Sohmer Baby Grand Piano Cupid Model 5’5″. Made in 1927. Shaped like a heart, thus Cupid Model. 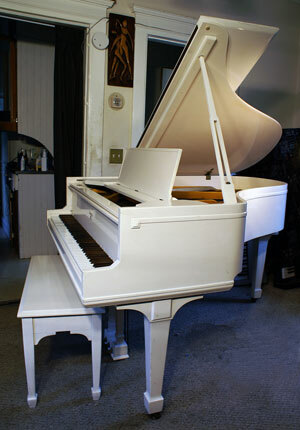 refinished white gloss and new key tops, work done around 15 years ago. Hammers, soundboard, bridges, pinblock all excellent. Beautiful, classic Sohmer rich tone and responsive action. Free Long Island.NYC vicinity delivery. All els continental USA only $475. Questions? Call Sonny Direct 631 475-8046.